Home / Health Care / How to Choose a Pillow for Your Neck Pain? How to Choose a Pillow for Your Neck Pain? Most people think that just buying a bed pillow and they can get a comfortable sleep until the next morning. However, this concept is completely wrong when there are many issues during sleep, and you need to have enough knowledge to choose the pillow that is most suitable for you. Therefore, today’s article will focus on exploiting the benefits of pillows designed for people with neck pain for reference. 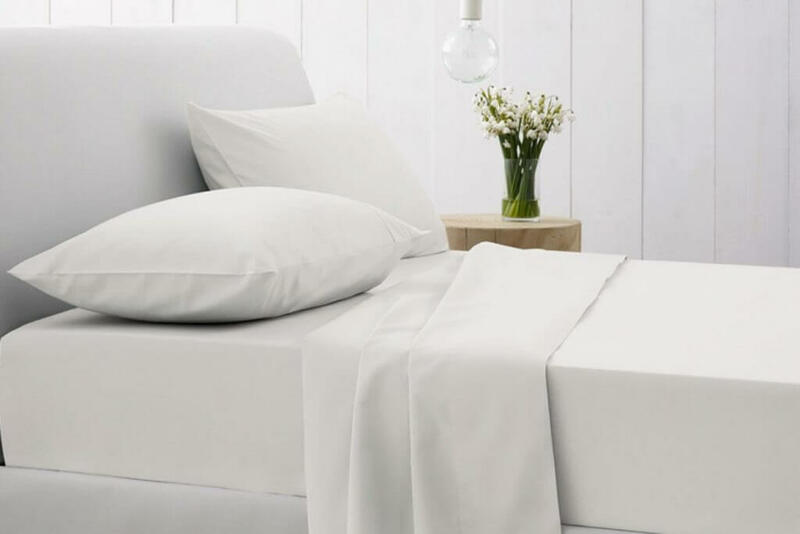 If you are side sleeper, read how to chose pillow for side sleepers at SideSleeperReviews. The fact is that for many people, having a deep sleep is very difficult. However, choosing the right pillow for sleeping position can make a difference. Usually, a comfortable mattress can also help the body relax as well. But you may not get a really nice sleep or have body aches whenever waking up without a pillow that suits for your sleeping posture. How to choose a right neck support pillow? In fact, the curved pillows are most suitable for most people. At that time, your head was in the center of the concave area of the pillow, and your neck is not too low or too high when you are lying on your back. The natural latex pillows support the neck without making you feel hot. It is said that people may not realize that they get hot at night, so this can make you feel restless as well as having difficulty sleeping. And the cool always helps you sleep deeper, which is the reason why you should choose a natural latex pillow for yourself. When choosing a pillow, you should also consider the hardness and softness of the mattress used. If you have a hard mattress, you will need a thicker pillow as your shoulders will not sink into the mattress. Besides that, the pillows should support your neck at a fixed distance between your head and the mattress. The side sleepers are at risk of waking up with pain in the shoulder, hip or neck because one side of their body must support the weight of the whole body during sleep. This position also makes the head far from the mattress rather than lying on the back or stomach. 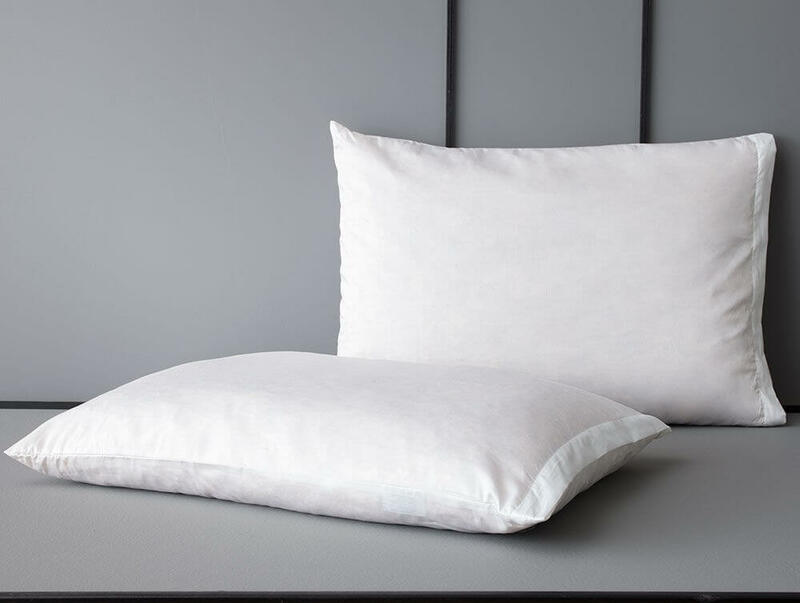 Therefore, let’s use a firm pillow so that you will not be moved throughout the night and this type of pillow is also thick enough to fill the distance between the users’ ears and the outside of the shoulders. Furthermore, putting a pillow between your knees can also keep your hips straight and prevent nerve pain and muscle pain as well. If you sleep on your stomach, you probably will not need a pillow. But if you want, remember to try a soft but flat one.You will not need to lift your head to move from side to side while sleeping. Plus, to avoid lower back pain, let’s consider putting a pillow under your belly. If you have a habit of sleeping on your back, most of your weight is distributed evenly over your shoulders. However, you should keep the pillow straight between your head and spine. Besides that, let’s choose a soft pillow that will help support your neck and keep your head from tilting. If you often wake up with lower back pain, try putting your knees or legs up on a pillow to keep your lower back on par with the mattress. If you want to stay a little higher, a wedge-shaped pillow will provide some support from head to toe for you. To sum up, the way you sleep or your sleep position makes a difference in how you choose the suitable pillow. Besides paying attention to the material, shape, and size of the pillow, you should also consider your own sleeping position so that you can invest in the best pillow that supports perfectly to you. In addition, if you have a seasonal allergy, let’s choose a non-allergenic pillow. If you suffer from sweating at night, a pillow with moisture absorption can help you sleep more comfortably. Hopefully, through this article, you will better understand about many types of pillow and neck pain as well as body aches when sleeping. Wish you a good day!